ABOUT THE BOOK: Enjoying a romantic candlelit dinner with her fiancé, Ryan, at one of Seattle’s chicest restaurants, Kailey Crain can’t believe her good fortune: She has a great job as a journalist and is now engaged to a guy who is perfect in nearly every way. As she and Ryan leave the restaurant, Kailey spies a thin, bearded homeless man on the sidewalk. She approaches him to offer up her bag of leftovers, and is stunned when their eyes meet, then stricken to her very core: The man is the love of her life, Cade McAllister. ABOUT THE BOOK: Born during a Christmas blizzard, Jane Williams receives a rare gift: the ability to literally see true love. Jane has emerged from an ailing childhood a lonely, hopeless romantic when, on her twenty-ninth birthday, she receives a card from a mysterious woman. Jane must identify the six types of love before sunset on her thirtieth birthday, or face grave consequences. 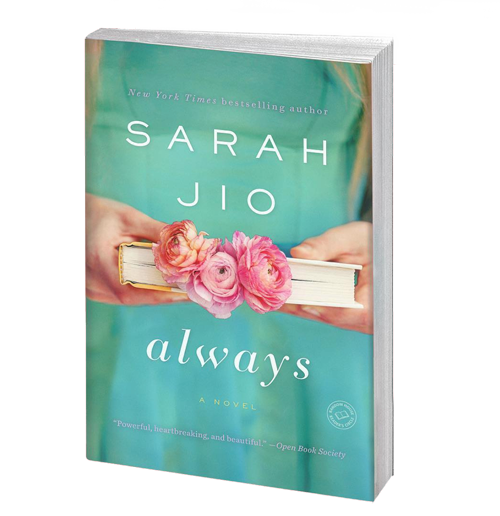 When Jane falls for a science writer who doesn’t believe in love, she fears that her fate is sealed. 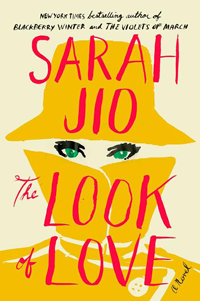 Inspired by the classic song, The Look of Love will utterly enchant Sarah Jio’s rapidly growing fan base. The New York Times bestselling author of Blackberry Winter imagines the inspiration for Goodnight Moon. ABOUT THE BOOK: Goodnight Moon is an adored childhood classic, but its real origins are lost to history. 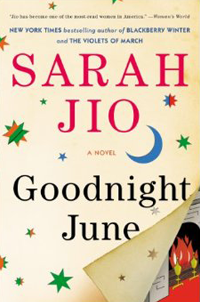 In Goodnight June, Sarah Jio offers a suspenseful and heartfelt take on how the “great green room” might have come to be. June Andersen is professionally successful, but her personal life is marred by unhappiness. Unexpectedly, she is called to settle her great-aunt Ruby’s estate and determine the fate of Bluebird Books, the children’s bookstore Ruby founded in the 1940s. Amidst the store’s papers, June stumbles upon letters between her great-aunt and the late Margaret Wise Brown — and steps into the pages of American literature. 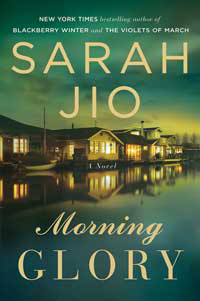 New York Times bestselling author Sarah Jio’s fifth novel, Morning Glory, was published on November 26, 2013 by Penguin (Plume). ABOUT THE BOOK: Jio imagines life on Boat Street, a floating community on Seattle’s Lake Union — home to people of artistic spirit who for decades protect the dark secret of one startling night in 1959. 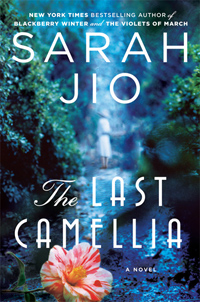 Sarah’s much-anticipated fourth novel, The Last Camellia, was published on May 28, 2013 by Penguin (Plume). Audio, large-print and various international rights have been sold for the novel, which is Sarah’s darkest and most mysterious novel to date. ABOUT THE BOOK: On the eve of the second World War, the last surviving specimen of a camellia plant known as the Middlebury Pink lies secreted away on an English country estate. Flora, an amateur American botanist, is contracted by an international ring of flower thieves to infiltrate the household and acquire the coveted bloom. Her search is at once brightened by new love and threatened by her discovery of a series of ghastly crimes. 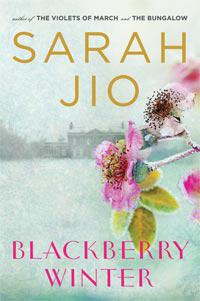 Sarah’s third novel, Blackberry Winter, was published on September 25, 2012 by Penguin (Plume), and hit the New York Times and USA Today Bestseller Lists. It was praised by Real Simple and chosen as a “Most Anticipated Book of Fall” by Kirkus Book Reviews. Complete with cover praise from New York Times bestselling author Elin Hilderbrand, rights to the book have already been sold in Italy at auction, Germany, Brazil and other countries. 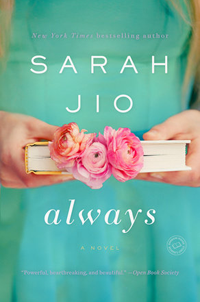 ABOUT THE BOOK: The story, which takes its title from a late-season, cold-weather phenomenon, continues Jio’s rich exploration of the ways personal connections can transcend the boundaries of time. Seattle, 1932. Single mother Vera Ray kisses her three-year-old son, Daniel, goodnight and departs to work the night-shift at a local hotel. She emerges to discover that a May snowstorm has blanketed the city, and that her son has disappeared into the heart of the storm. Outside, she finds his teddy bear lying face down in the cold snowy streets. Seattle, 2010. Seattle Herald reporter Claire Aldridge is assigned to cover the May 1 “blackberry winter” storm and its predecessor that occurred on the same date nearly eighty years earlier. Learning of the unsolved abduction, Claire vows to unearth the truth — only to discover that she and Vera are linked in unexpected ways. 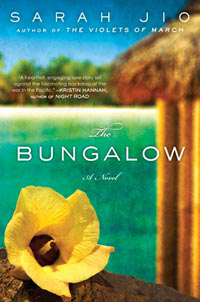 Sarah’s second novel, The Bungalow, was released by Penguin (Plume) on December 27, 2011, and later by Heyne Verlag, a division of Random House in Germany, for their Diana Verlag list. The book was praised by Woman’s Day, First for Women and Marie Claire, as well by #1 New York Times bestselling novelist Kristin Hannah, Carol Cassella, Karen White and Sarah McCoy. 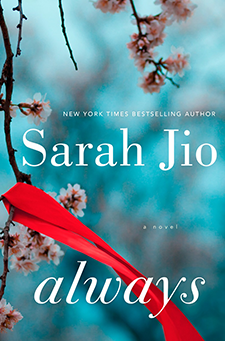 ABOUT THE BOOK: A sweeping saga of thwarted love, murder, and a long-lost painting… In the summer of 1942, twenty-one-year-old Anne Calloway, newly engaged, sets off to serve in the Army Nurse Corps on the Pacific island of Bora-Bora. More exhilarated by the adventure of a lifetime than she ever was by her predictable fiance, she is drawn to a mysterious soldier named Westry, and their friendship soon blossoms into hues as deep as the hibiscus flowers native to the island. under the thatched roof of an abandoned beach bungalow, the two share a private world–until they witness a gruesome crime, Westry is suddenly redeployed, and the idyll vanishes into the winds of war. A timeless story of enduring passion, The Bungalow chronicles Anne’s determination to discover the truth about the twin losses–of life and, and of love–that have haunted her for seventy years. The Violets of March was released from Penguin (Plume) on April 26, 2011. Praised by Jodi Picoult, called “engrossing” by Redbook and featured in Coastal Living, Glamour, First for Women, Self.com and Costco Connection magazine. Violets was a Costco Book Buyer Pick and a Target Emerging Author Selection (to read more praise and media attention, click here). The novel was also published in hardcover by Heyne Verlag, a division of Random House in Germany, for their Diana Verlag list. Spanish, Turkish, Italian, Hungarian and French rights have been sold. ABOUT THE BOOK: In her twenties, Emily Wilson was on top of the world: She had a bestselling novel, a husband plucked from the pages of GQ, and a one-way ticket to happily ever after. Ten years later, the tide has turned on Emily’s good fortune. So when her great-aunt Bee invites her to spend the month of March on Bainbridge Island in Washington State, Emily accepts, longing to be healed by the sea. Researching her next book, Emily discovers a red velvet diary, dated 1943, whose contents reveal startling connections to her own life. 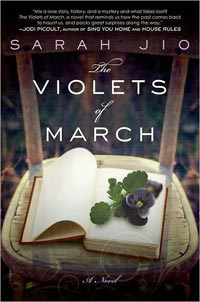 A mesmerizing debut with an idyllic setting and intriguing dual story line, The Violets of March announces Sarah Jio as a writer to watch.